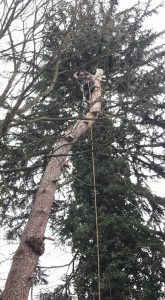 Our apprentice climber getting it done! 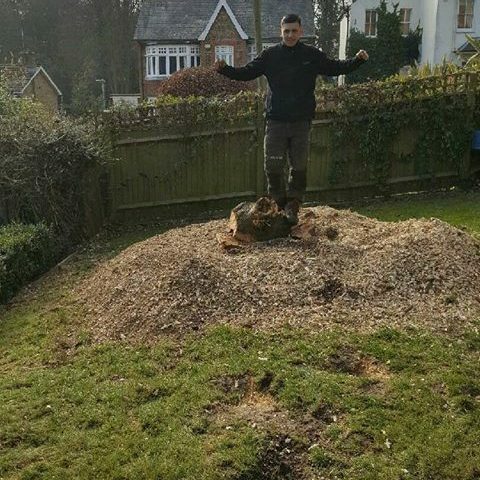 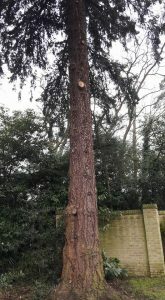 This Scots pine (Pinus sylvestris) was deemed unsafe in a recent tree survey and we was ask to undertake a section dismantle to remove the risk from tree failure. 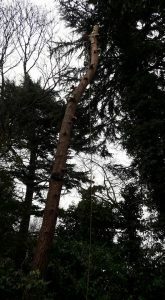 Congratulations to our upcoming arborist Jordan for a successful job. 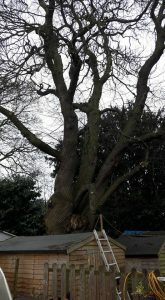 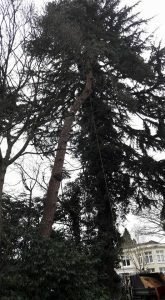 We removed the hazard beam and undertook deadwood/crown lifting pruning. 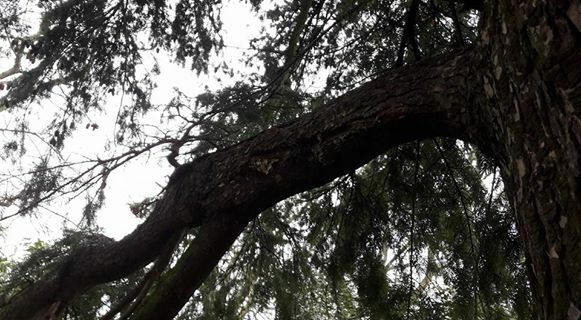 A hazard beam is a curved woody stem, whose loading tends to bend it against the direction of curvature, has a tendency to split through the centre, having the effect of straightening the part. 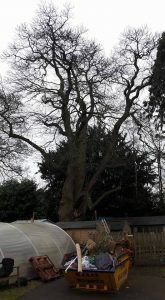 Sweet chestnut (Castanea sativa), beautiful twisting tree that we undertook deadwood and crown lifting pruning on. 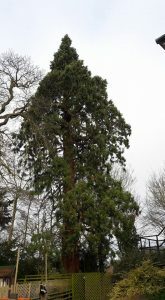 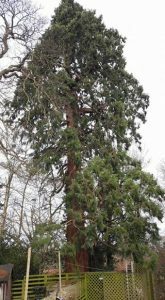 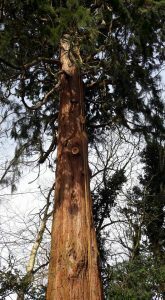 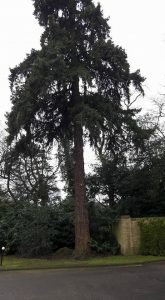 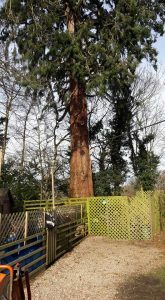 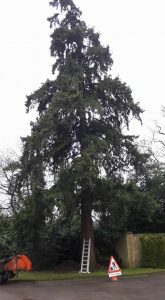 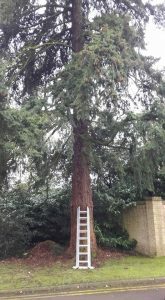 Deadwood, crown lift and climbing inspection undertaken on this mature Giant sequoia tree (Sequoiadendron giganteum). 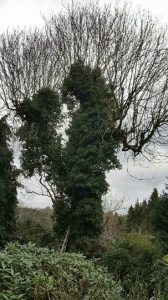 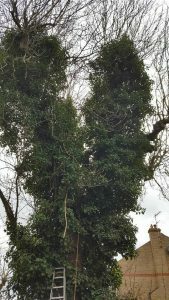 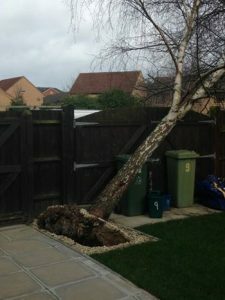 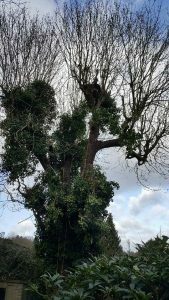 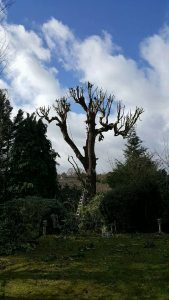 In the past this tree has had a large portion of height removed, our client wanted us to check the old pruning wound and monitor the new regrowth to ensure healthy attachment. 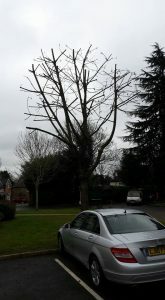 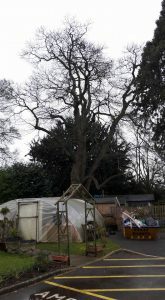 We removed all dead/dangerous branches and also lifted the canopy to give greater clearance. 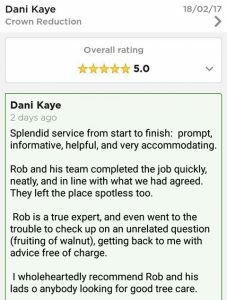 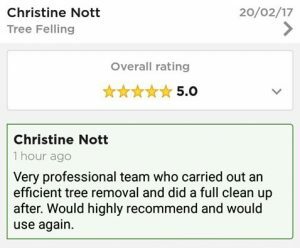 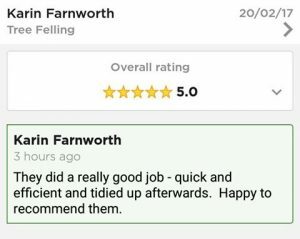 Very very kind words from very lovely customers. 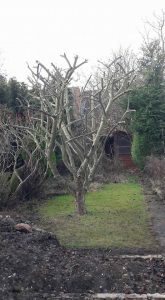 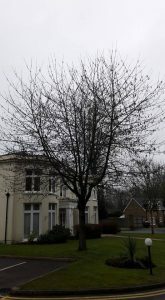 Heavy Malus crown reduction, our client liked the tree but hated the mess from the fruit! 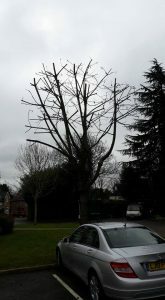 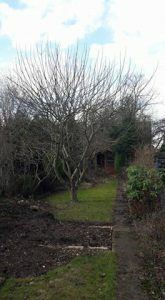 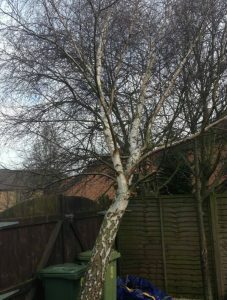 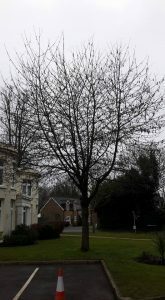 We gave the tree a heavy prune to get the tree back into shape and also reduce the fruit fall this autumn.